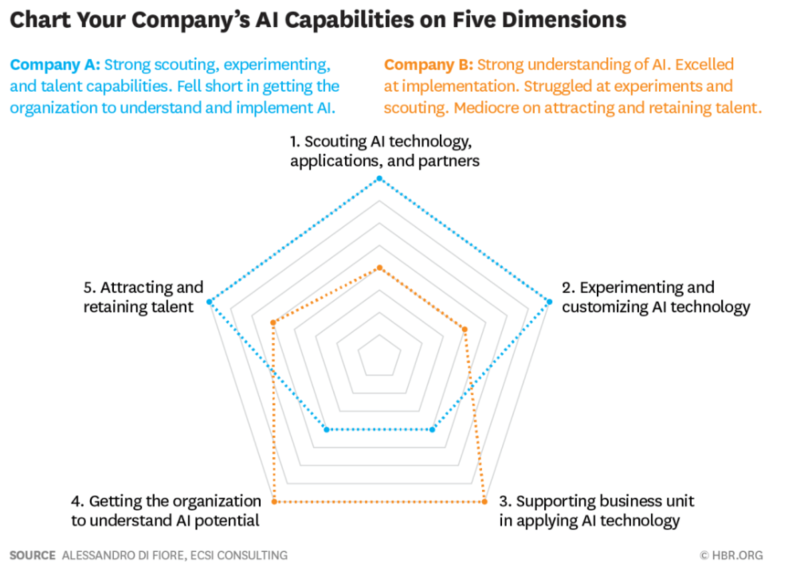 The Harvard Business Review recently published “The 5 Things Your AI Unit Needs to Do.” The article highlights how many organizations are standing up AI teams and investing in technology without also investing in the DevOps necessary to capitalize on this technology. To solve this problem, HBR prescribes five key tenets of developing an AI program that can actively be deployed to improve your organization. We’ll look at each capability and how Algorithmia can help you optimize your performance. 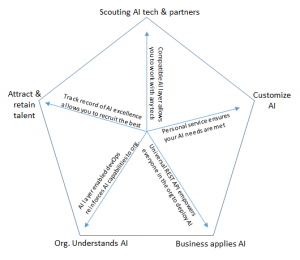 Scout AI technology and partners: Large corporations need to explore working with more nimble and adaptable AI startups. They have the focus and talent to develop the next wave of AI solutions. Algorithmia’s Enterprise Services hosts your AI on our Serverless AI Layer. This layer facilitates interoperability between your organization and any new technology you discover. Our layer is cloud and stack agnostic, expanding your capabilities and encouraging collaboration. Experiment with AI technology: AI is rapidly evolving and enterprises need to be willing to experiment with a wide range of AI. Algorithmia’s AI Layer ensures your algorithms are traceable and discoverable. Algorithm versions can be published as API endpoints and can be found by any data scientist in the organization encouraging experimentation and eliminating redundant efforts. Our GPU clusters give you the capability to expand into Deep Learning, as well. Support the business units applying AI: AI application can be confusing and time-consuming for a standard business unit to apply. Algorithmia allows each of your models to be run with a simple universal REST API call expanding their reach and impact throughout the organization. 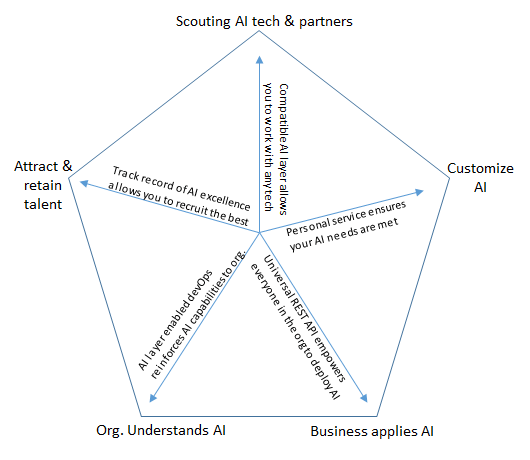 Educate the entire organization on AI: AI capabilities have to be understood by everyone in the organization, including the C-suite, in order to ensure their potential is fully utilized. Algorithmia’s Enterprise Services comes bundled with multiple Grafana dashboards. 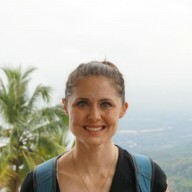 This enables you to track algorithm usage, evolution, and results. Algorithmia also provides 24x7 hands-on support for your AI layer needs. Attract and retain talent: Qualified data scientists are in short supply and are vital to successful AI DevOps. Recruiting this top talent requires you to already have proven your AI savvy or offer high enough compensation. Algorithmia can provide you with the results to prove to top talent that you take AI seriously. Furthermore, we have top engineers in our field employed here and they will be working with you to fulfill your AI layer needs. Algorithmia can help promote your strengths and improve your weaknesses to move your company towards optimal AI DevOps. For more information on how we can help you optimize your AI/ML capabilities please email our field engineers.